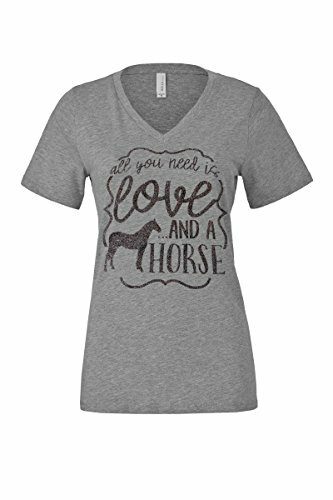 All you need is love and a horse glitter finish v-neck tee by Loaded Lids. Finished in the US and shipped from the US. For long-term use, we recommend you wash on delicate cycle and allow to air dry. If you have any questions about this product by Loaded Lids, contact us by completing and submitting the form below. If you are looking for a specif part number, please include it with your message.